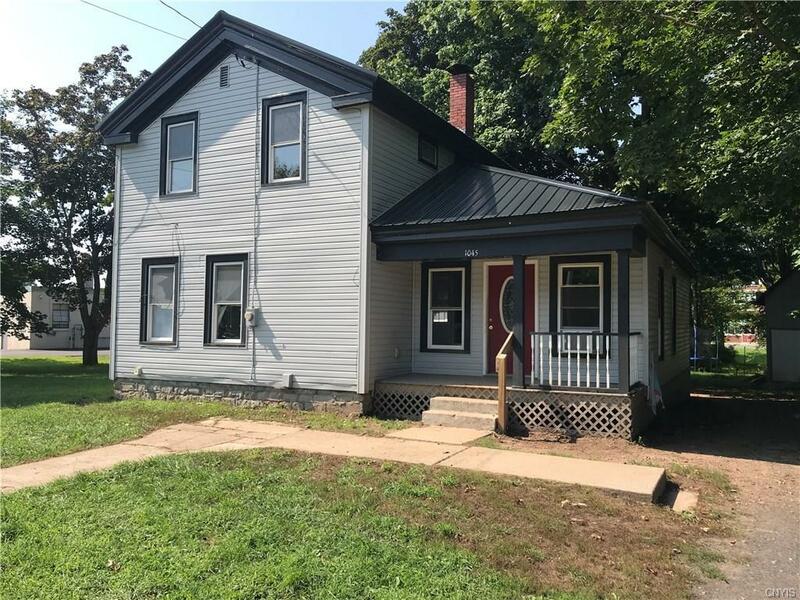 Great colonial with so much brand new within the last 4-5 years, leaving you with nothing to do except move in and decorate to your own taste! All new within the past 4-5 years: new metal roof, new siding, new windows throughout, updated electrical, new pex plumbing, new furnace, new water heater, new kitchen, new bathroom, and new leach field. Large living room with hardwood flooring open to kitchen. Kitchen features tile floor with sizable eat-in/dining area. First floor master bedroom, first floor bathroom and first floor laundry make entirely one level living possible. Two story detached garage with concrete floor offers plenty of space for a workshop, hobbies or simply additional storage. Don't miss out on this opportunity - call today to view or inquire! Directions To Property: State Route 3 To Hannibal. South On Auburn St. Property On Right.